Is Blu-ray here to stay? Everywhere you go these days, whether a retail bookstore, WalMart and even small mom and pop shops that carry DVD titles are giving way to Blu-ray discs. DVDs are disappearing fast and are quickly reaching a collector item status. 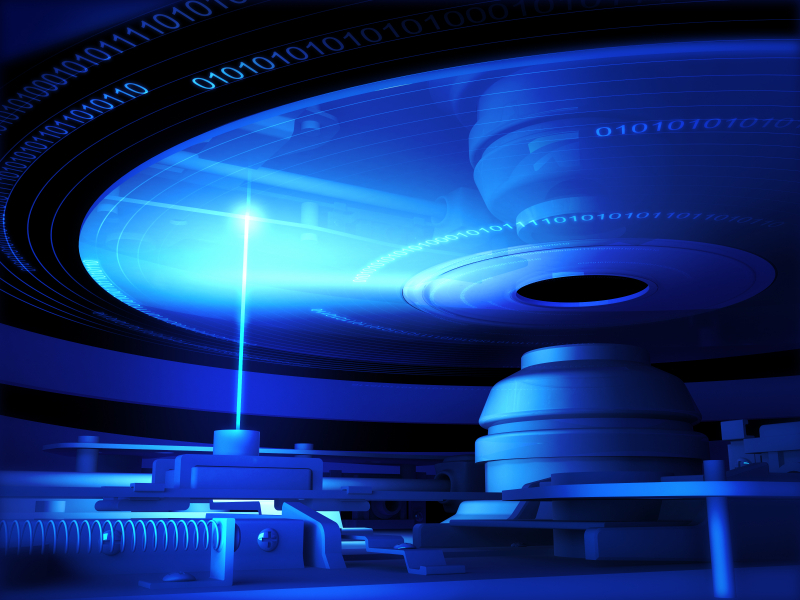 With incredible recent developments in digital technology, is Blu-ray really here to stay? Or will it be a short-lived experiment, about to be written off as the last tangible “hard” media? Between the years 2006 and 2009, Blu-ray was immersed in the notorious “format war” with HD-DVD in a dynamic that vastly resembles the VHS/Betamax format wars of the 80s. Apparently, every generation need their own format war. With the official retreat of HD-DVD, and the victory of Blu-ray, it was then settled and slowly penetrated the market. Blu-ray titles sales in North America (US & Canada) have grown from 1.2 million in 2006 to 177.2 million in 2009. In addition, projections are forecasting that by the end of 2011, 50 million homes will own Blu-ray players. That will represent more than 40%!!! In addition, the advent of Blu-ray 3D adds a whole new dimension to the equation, pun intended. 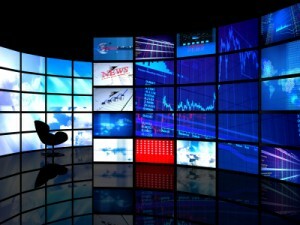 Some projections estimates that by 2015, 3D TVs will be in more than 60% of US households and 3D Blu-ray players will be in more than 75%. Now, that’s not too shabby for a format that just recently survived a war and that has been declared “dead” by many pundits time and time again. So what is it in this blue laser technology that it just won’t quit? Generational – older demographics have more spending abilities and are used to buy tangible media (ownership). They want to enjoy their favorite films, as well as new releases in HD with cool interactive menus. These people will drive the market. Quality – it is hard going back to DVD after getting used to Blu-ray. It is like stepping back from First Class to Coach in a midst of a packed flight. Adaptability – people are still slow to embrace digital-only solutions. It is certainly happening, and we anticipate a day without any optical discs, yet we do not anticipate it any time soon. We believe that the Blu-ray technology is here to stay for the foreseeable future. We have had no particular bias when writing this blog, and after gathering the statistics, we were left fairly surprised. We like Blu-ray. It’s a good format. It’s clean and it’s available. When you hear Blu Ray you think top end, Crisp quality and Jaw Dropping Graphics. Unfortunately, you also think it’s too expensive and unless it’s the Dark Knight on Blu Ray, you’d rather go without it. There are times, however, when you will need to pay the extra amount for professional Blu Ray Services. Say you have a low budget Indie film that you would like to show at festivals. The Blu Ray Format would help your film gain attention! With the way technology is now, you have to go with the flow for your film to gain attention and credibility. Want even more? We also do Blu Ray 3D, so more than before you can get your movie to (pardon the pun) jump out of the screen! And the cost is a lower than you are expecting, especially if you we’re thinking an arm and a leg. Advanced Media does affordable Blu Ray Services as well as Bulk DVD Duplication Services for any job you may have! We offer top notch Blu Ray Replication/Duplication Services in Los Angeles. We also provide video transfer services so if you want to Transfer your old family video to transfer to Blu Ray for a wedding, that is not a problem for us. Visit our site: www.BluRayWizard.com for more information. You just moved to LA after Theatre school with dreams of making it to the big screen. You’ve been in a few small made for TV Movies and shows and have a huge audition coming up soon. You memorized your lines no problem, your head shot make you look perfect for the role, the only thing…Your Demo reels isn’t as strong as you want it to be. With your audition so close how are you going to make a complete demo reel with such a short amount of time? An Actor Reel needs to focus on your talent and showcase your range of emotions. An actor’s reel is an important exposure tool and Advanced Media Specializes in Demo Reel Production in Los Angeles. We offer package deals for Demo Reel re shoots and we have professional editors who can cut your reel together making Advanced Media LLC your one stop shop for Demo Reel Production! You can also sit in with the editor to make sure you get the professional reel that you deserve while we throw in our own creative and professional twists here and there. These days it’s hard to catch the attention of your audience. Because of rapidly evolving technology the average attention span has decreased immensely. Take watching TV for example. Typically People are on three or more separate devices: Watching their favorite TV shows on DVR, while checking NFL Fantasy stats on their lab tops while simultaneously texting a friend on their phones. What does this mean for you and your business? It means you have to to something more to catch the attention of your market. A website is not enough, You need to create buzz and something fresh to maintain the attention of potential clients. You need a web video that will catch and retain their attention. It could be a short 2-3 minute video or a series of videos that will turn potential customers into loyal ones who will help create buzz and the important ‘Word of Mouth’ marketing for your business. Advanced Media Productions handles all Video jobs, big or small. We are here to provide Video Production services in Los Angeles for any business or actor that require a top notch and professional Video or Demo Reel for their needs. We have done jobs for the FBI and produce videos for MTV’s Lingerie Football League. Recently we have Shot a Web Video for Eye Health Care Provider, VSP, where we went to the LA Sports Arena to shoot a web Commercial for a Dr. OZ Sponsored event. We have experience in Hollywood as well as we have produced a number of EPK’s and BTS for Blockbuster Films, such as: Leaves of Green w/ Edward Norton, Trust w/ Clive Owen and Robert De Niro, Labor Pains with Lindsay Lohan. or give us a Call at (323) 469-0209. VHS Transfer Services – Where do I transfer my home movies to? Today, millions of Americans have already took the step to protect, preserve and share their family history, lifelong memories and generational ancestry. In previous articles about Media Transfer we have explored some of the reasons why is it so important to take that step now. In this article, we would like to explore the various methods and ways to preserve and protect them. to preserve your videos and be able to watch them occasionally with family and friends. In fact, the knowledge that your historical moments and memories are there in a tangible and accessible form was a re-assuring factor that you can always enjoy it when desired, especially at an older age. Today, there are various choices to consider, including DVD, files, tape and the Cloud. While each format or platform offers advantages and disadvantages, the most important thing to remember is that you would essentially need to be able to access and use it at some point in time. Therefore, the access and usability factors are very important. DVD (which stands for Digital Versatile Disc, since it was alongside with CD, a type of media that could have various segments be accessed consecutively without the need to fast forward or rewind) was the natural replacement for VHS and the likes (analog tape-based home video formats), and therefore is being preferred by many. DVD main benefits is that is it relatively durable, physical and easily accessible. We at Advanced Media, highly recommend transferring home movies to DVD, since it is sill the most usable and accessible form of preserving your media. We believe that if you do not preserve your home movies to DVD, you are potentially risking losing them. Under the DVD umbrella you will also find its modern day sibling, Blu-ray. While the process of creating Blu-ray discs is more time consuming and pricier, there are some clear advantages to choosing that route. Blu-ray is becoming more and more accessible and should be considered as a viable option. For this to happen, more education in the market place may be needed. Today, more and more individuals choose home movies to file transfer as the way to go. Some of the reasons behind it are clearly understood, with many planning on editing their videos to remove some of the non-eventful portions, while some think that having files is cheaper and/or better. Transferring home movies and VHS tapes to files is clearly important and extremely beneficial to many and should definitely be considered as art of the overall preservation and protection strategy – however, it is clearly not the answer. We at Advanced Media always recommend a two-legged approach to preservation and protection, having your home movies transferred to at least two types of media or platforms. While files offer clear advantages for editing and overall sharing, the lack the reliability and physicality that DVDs and other tangible media has to offer. Just remember that a drive can get deleted or crash, files could be lost and misplaced, get corrupt and be compromised by the ever increasing amount of computer viruses. You would not be happy to discover that your invaluable historical memories are nowhere to be found several years later. Tape is becoming an outdated concept in today ever changing technology, however, many corporations, government agencies, film studios and any other valuable content owners choose to preserve their content on magnetic tapes, such as DLT and LTO. Magnetic tape preservation still offers the best and most robust way of preserving media. While not always feasible to the private user to own an LTO drive, just having an LTO cartridge with their entire home video library backed up may be an option to consider. Formats such as LTO are industry standard and are here to stay for the foreseeable future. The Cloud, as previously discussed, is an umbrella term for any type of media, software or service that is performed or stored at a remote location on a remote computer or a networked group of computers. While the subject of Cloud is fairly new and interesting, and could be a great secondary method of preserving content that can be shared worldwide, we want to make sure our customers understand that Cloud-based content has a monthly cost associated with it, and is also susceptible to hacking, attacks and other internet technology related issues, such as loss, outage etc. In addition, some companies such as YouTube and Facebook, actually own the content and under no obligation to keep it online and preserve it. We encourage you to learn more about the Cloud before choosing it as your main media preservation strategy..
We hope that this article has been informative. We at Advanced Media always believe in ever increasing learning and exploring. We live in the information age, where content is king, and it will continue to be an important subject for years to come. Please contact us at (323) 469 0707 or at our contact page to learn more about various home videos and media preservation strategies. Actor Demo Reel – important or not? As a media company, we are occasionally engaged in some level of film production, including casting. From experience, when a producer or a casting director posts a casting notice, there are generally replies in the hundreds if not thousands actors, depends on the role, production, pay and other factors. The competition could be quite fierce, and even the selection process could be quite overwhelming. In fact, there is a good reason why there are so many casting directions. It is truly a multi-faceted and very time-consuming task, which is also critical to the success of any project. While every actor who is submitted or can be found on any given database site has a headshot, a small percentage of actors have video demo reels, or actor reels. The reasons vary, from lack of previous work to work that is not deemed sufficient enough in representing the actor/actress in pursuing the next step. However, the end result is that actors with demo reel often stand out. While a headshot is telling to an extent of an actor/actress overall looks, and a resume can reflect how established and successful an actor may have been recently, there is nothing more convincing than actually seeing an actor/actress in action playing a role. As an actor/actress it is very important for you to have your work be seen, especially by those who are in position to choose you for the next project. We, at Advanced Media, highly recommend that you get yourself a reel made. We explored some of the reasons for seeking out a professional company to have your reels edited on some previous posts. We do provide such service to a wide range of actors and actresses at affordable rates and with a highly trained, experienced and professional staff. Please find more information about us here. Thank you for reading and best of luck! 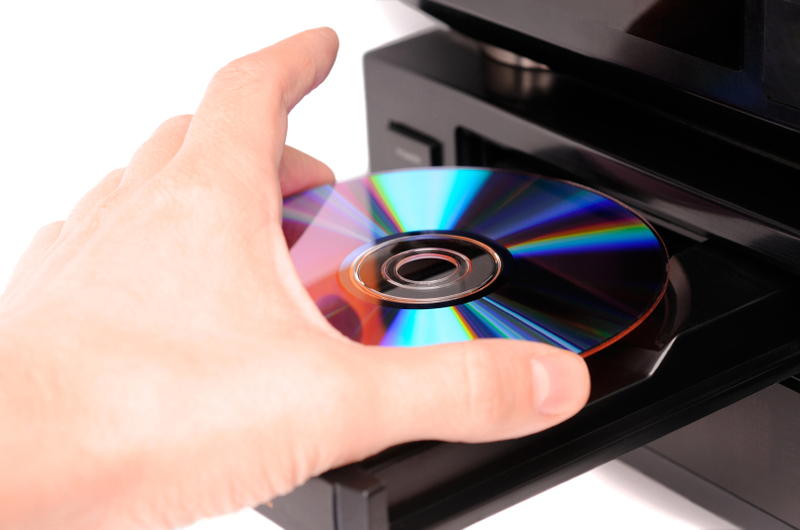 We at Advanced Media offer a wide range of highly professional and personal DVD duplication services. Among our customers are private individuals, Fortune 500 corporations, small businesses, municipal and federal agencies and educational institutions. We have done work for the FBI, Time Warner, Kaiser Permanente, Fox, Giorgio Armani, MTV, MGM, USC, Iron Mountain to name a few. When you choose DVD Duplication Services, you want to make sure that you know what is your final goal – promotion, retail, gift or other. 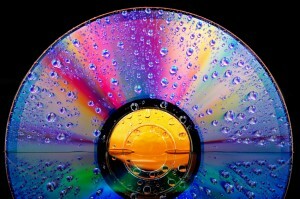 Retail-bound DVD product typically goes through a process called replication, which is done at a replication factory. We at Advanced Media, work with several reputable replication companies and can provide easy access to the service. Promotional type DVDs and even personal use DVDs, are typically duplicated, which is a much simpler process of digitally copying DVDs from a master DVD. In this blog, we would focus on the duplication side of DVDs. It is important to choose high-quality and durable media. We at Advanced Media only use high quality products. There are many resources on the internet to shop and compare between DVD products. The key to remember is that most expensive sometimes really is just the most expensive. When you shop for media, you shop for value, which translates to the best quality for the best price. There are various ways to duplicate, from software based to hardware based. They all vary in time, efficiency and price. If you have the time to sit by your computer and keep changing DVDs in order to burn 200 or more, then you are in luck. Most people don’t. When it comes to hardware-based solutions, quality does matter. At Advanced Media we use high-end DVD duplication devices, whether robotics or manual. Our duplication equipment also performs self-check to every single DVD. In addition we spot our DVDs to ensure that they work and are 100% reliable. There are several methods to printing. The most common is inkjet, which is similar to most home-based printers. Inkjet can produce some pretty decent results if used with the right printers. While Inkjet is clearly a good printing solution, it is not the method professional companies use. We at Advanced Media provide both Inkjet printing and Thermal. Thermal print works in a similar fashion to dye-transfer, and without getting into technicalities in this article, the method relies on very accurate color transfer from ribbons onto the DVD surface under extreme heat. This method ensures that there are not print artifacts and that the thousandth DVD looks just like the first. Some other benefits include scratch resistance, water resistance and fade resistance. A third method is called LightScribe, which is a “built in” method where the DVDs are being burned and printed inside the LightScribe drive. It can only produce black and white prints, the media tends to be more expensive and it requires some programming to change the labels. We get occasional inquires about DVD protection. The best way to ensure DVD protection is by replication. DVD duplication does not offer real DVD protection. There are some products out there that do provide some limited defense on duplication, yet it can be easily overcome. We generally advise that if you need copyright protection on your DVDs, you go the replication route. We will continue to explore various DVD Duplication aspects in future posts. We hope it was a helpful reading. Here at Advanced Media, a Los Angeles based media services company, we offer complete DVD Duplication and Replication Services. Please contact us at (323) 469 0707 or at our contact page here.